In the late 18th Century, a then-small town known as Manchester started using steam-powered machines to speed up the rate of its cotton production. Thanks to a variety of factors—from its existing textile production, its proximity to the coast, the high levels of coal and scientific advancements–it became the first industrial city. It changed the world. Everything that Manchester was and is, from its layout and rising-declining fortunes, to its working class history and radical leanings, stems from that industrial city. Unlike London, it’s so easy to explore that industrial history still. So take a stroll north from Church Street and start to explore the world’s most interesting industrial history. That includes about 70 minutes of walking, plus the time for exploring the museums at your leisure. Continue past the Northern Quarter to this industrial must-see area—this sprawling maze of factories was once so productive, it was known as “the workshop of the world.” Ancoats has loads of new stores and craft breweries opening up every other week, so you can explore it while looking at the jaw-dropping architecture. Make sure to stop by Anita Street – possibly the most picturesque in all of Manchester. 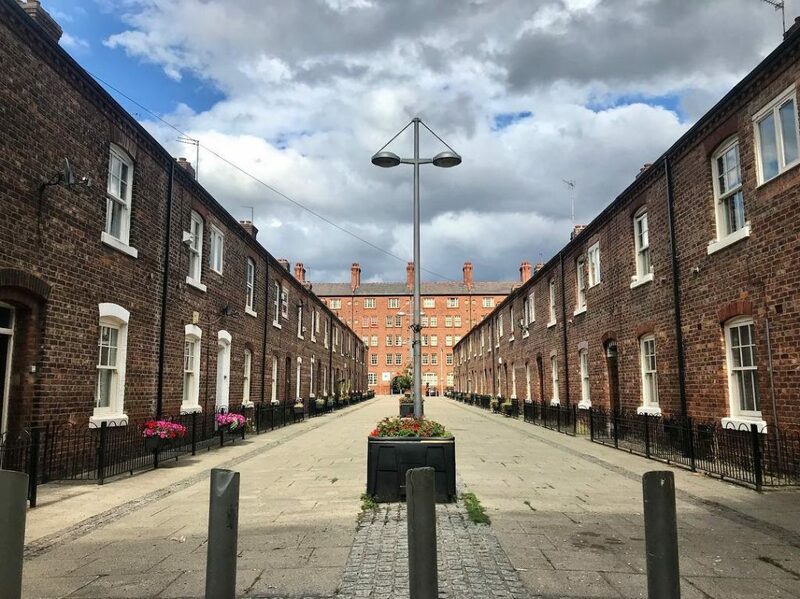 When Ancoats was in its industrial prime, living conditions for the factory workers were so awful it led Friedrich Engels to declare it the most “shameful conditions” in the world. Anita Street, originally (less-appealingly) called Sanitary Street, was the city’s attempt to provide affordable social housing – perhaps the first of its kind in the world. The vast factory complex of Murrays’ Mills— the world’s oldest steam powered cotton mill—shows off this history best. Its size, still overwhelming, is a stunning monument to the heart of Manchester’s (and possibly England’s) industrial boom. While wandering down Corporation Street, you might just miss the red Victorian mailbox halfway down—it looks like any other mailbox across the country, right? Well, it stands out as the only surviving object from the city’s brutal 1996 bombing, the most damaging peace-time terrorist attack in British history. Make sure to look inside if you can—the stunning atrium, when it was completed in 1809, was the largest room in the world. Considered the centre of England’s cotton trade, much of the trading of cotton was done here up until the Second World War, when it was heavily damaged during the blitz. Though now only half the size of the original building, you can still get a real sense for its grandeur. It’s been a theatre since 1973. Grade 1 Listed and considered one of the finest examples of Gothic revivalism in the world, the Town Hall is a stunning testament to Manchester’s wealth and power in the late 19th Century. It cost £1 million (at the time extremely expensive), and designed by Alfred Waterhouse after he won a design contest. Now a modern tram-line thoroughfare lined by some impressive contemporary architecture, St Peter’s Square was the site of one of Britain’s bloodiest but most important scenes of social protest—Peterloo. In 1819, following the hardships stemming from the Napoleonic wars and workers’ violation, almost 80 000 people gathered to push for Parliamentary representation—the then-largest ever protest. The magistrate of the time sent cavalry in, killing 15 but wounding close to 700. The event shocked and sent shockwaves through England. Today, there’s not much to distinguish that history (the Free Trade Hall where the talks started is now a swish Radisson). But it’s a foundational moment for British social history, a testament to how difficult working conditions in industrial times were, and a continuing symbol for a city that’s always pushed the boundaries on social and economic issues. It was also a key place in the Suffragette Movement. 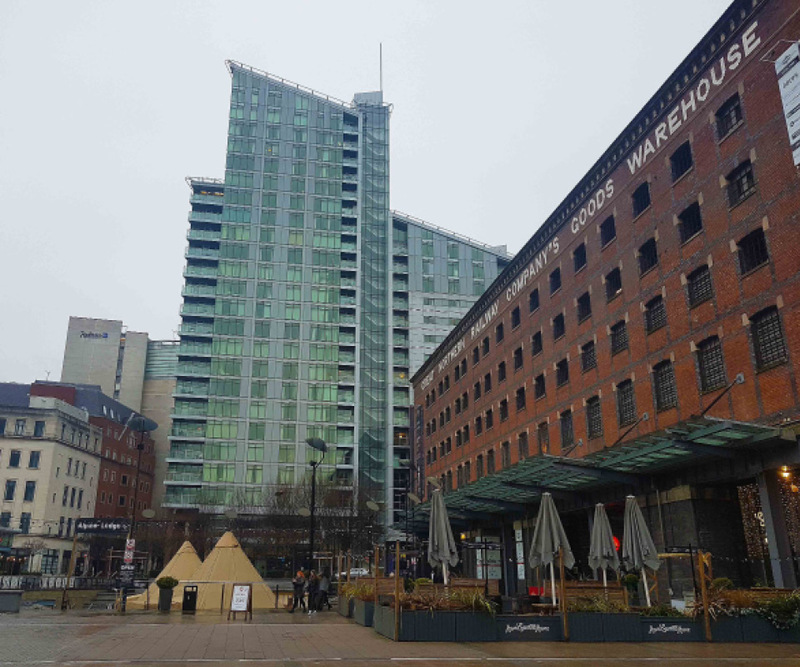 Walk west through Spinningfields, a district with mostly new glass buildings, to come and explore the history of Peterloo and other democratic movements in depth. The push for worker’s rights and democratic representation is inextricably linked to the city’s industrial history. Learn all about it at this fascinating free museum, which charts the social history of this radical city. There’s a number of powerful exhibits inside, one of the best being a two floor-high intricate diagram of the struggle for political representation in the UK. 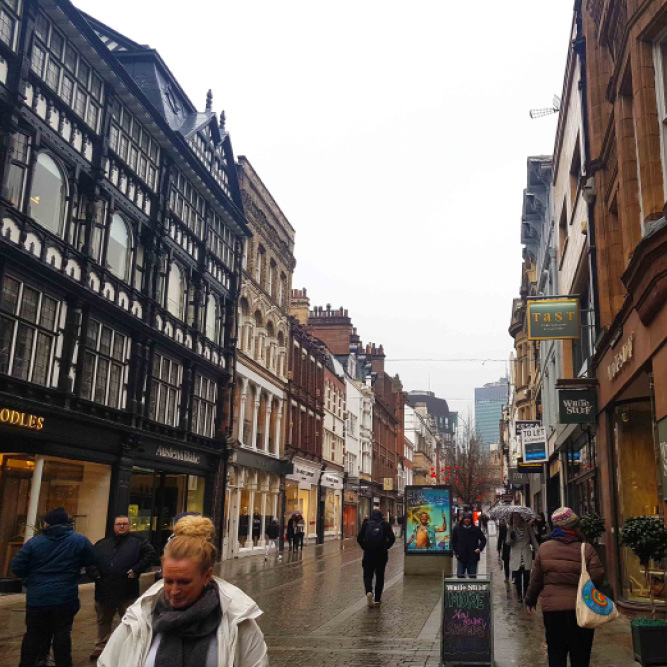 Finish the walk in Manchester’s oldest district – as the site of the 79 CE Roman Fort, we’re talking 2000 years old here. More recently, it was the site of the very first canals system, the 1761 Bridgewater Canal, a legacy you can still see through the gorgeous river walks looping between gorgeous industrial redbrick. 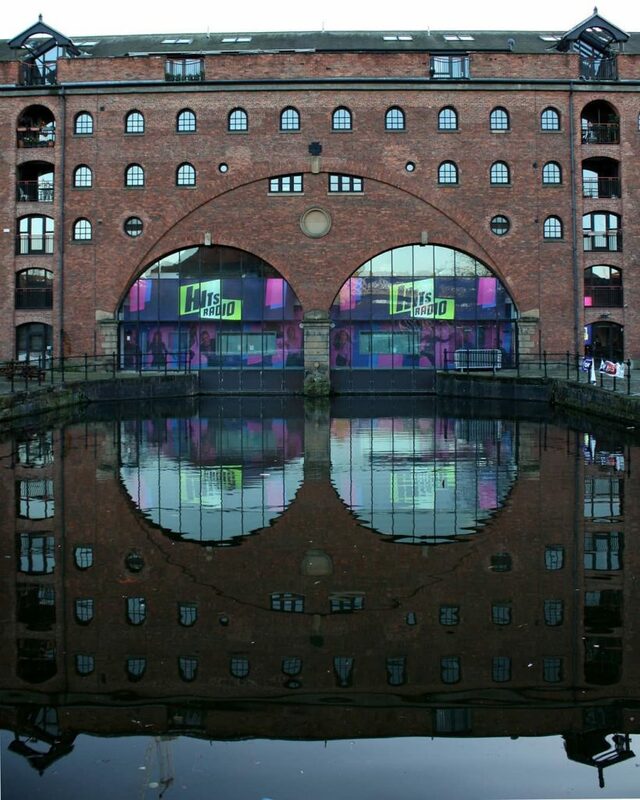 This stunning area doesn’t really look like anywhere else in the world – its massive factories, most now gutted and refurbished into hip shops or activity centres, are a testament to Manchester’s industry. Make sure to save yourself some time to wander through properly. Possibly Manchester’s best museum, this is the perfect place to end your industrial history walk off, since after a day of answering the where question, you’ll get a chance to answer the how as well. Through a number of stunning displays, the museum explains the science and mechanics behind such revolutionary machines like the Spinning Jenny, giving you a sense about why the revolution started in Manchester, as well as the ways Manchester continues to lead in scientific advancement.